Along with much improved imaging, 3D mammography is achieved with the same x-ray dose and level of comfort as before. This means there is no increased radiation exposure to patients during a 3D breast exam. The 3D system at St. Joseph Regional Breast Care Center delivers the lowest patient dose of all FDA-approved systems. 3D imaging can tell more precisely the difference between cancer and harmless growths in the breast. 3D detects more cancers and it reduces the number of false-positive results given to patients. In most non-cancer cases 3D mammography by itself can ensure the patient is cancer-free, ruling out the need to be called back and wait for a biopsy. Many major insurance carriers fully cover the cost of 3D mammography. This is a Medicare covered service when referred by a primary care or specialty care provider. Some insurance providers are not yet covering this new technology, in which case patients may be responsible for up to $200 in co-pays and/or fees associated with the 3D mammography. Should a patient decline this latest technology, a digital mammogram will be offered as has previously been provided. 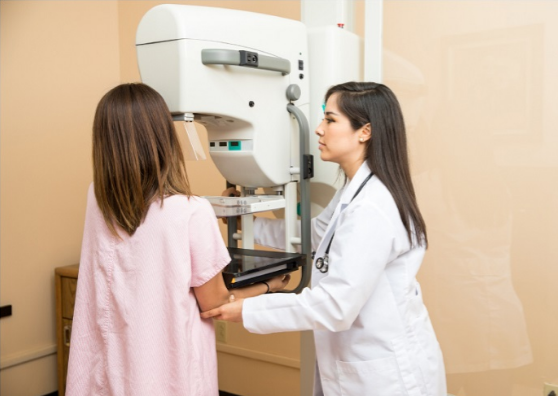 Patients with questions about 3D mammography coverage should connect with their insurance carrier.